Nosebleeds (epistaxis) are very common. Most nosebleeds occur because of minor irritations or colds. Some nosebleeds are caused by injury to the face or nose. Nosebleeds can be frightening for some patients, but are rarely life threatening. Persons taking ACM's (sometimes called blood-thinning medications) such as warfarin (also known under the brand names Coumadin, Jantoven, Marevan, Lawarin, Waran, and Warfant), apixaban (Eliquis), dabigatran (Pradaxa in Australia, Europe, USA and Canada, Prazaxa in Japan), rivaroxaban (Xarelto), clopidogrel bisulfate (Plavix), nonsteroidal anti-inflammatory drugs (NSAIDs), or aspirin have an additional concern. Is my medicine causing or contributing to my nosebleed? Persons who have recently had an INR test which was in their target range probably should not be worried about their warfarin dose. Persons who have their own INR monitor and self test can do an INR test around the time of the bleeding. If the INR is within the therapeutic range, the warfarin is not likely to be playing a major role in causing or worsening the bleeding. If the INR test result is not in the target range, the dose of warfarin may need to be adjusted. If the INR is above 5.0 and the nosebleed is not easily stopped, it may be advisable to seek medical attention. In this situation, a healthcare provider may suggest low-dose oral vitamin K and/or nasal packing. Persons who are taking other classes of anticoagulant or antiplatelet medicines may have to contact a health care provider to determine what to do. Fortunately, most nosebleeds are not serious and usually can be managed at home, although sometimes medical intervention may be necessary. Nosebleeds are categorized based on where they originate, and are described as either anterior (originating from the front of the nose) or posterior (originating from the back of the nose). Anterior nosebleeds make up more than 90% of all nosebleeds. The bleeding usually originates from a blood vessel on the nasal septum, where a network of vessels converge (Kiesselbach plexus). Anterior nosebleeds are usually easy to control, either by measures that can be performed at home or by a health care practitioner. Posterior nosebleeds are much less common than anterior nosebleeds. They tend to occur more often in elderly people. 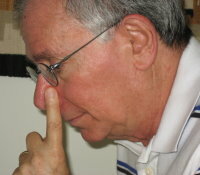 The bleeding usually originates from an artery in the back part of the nose. These nosebleeds are more complicated and usually require admission to the hospital and management by an otolaryngolist (an ear, nose, and throat specialist). With the index finger press against the side that is bleeding or if both side are bleeding pinch the nostrils together and apply direct pressure with the thumb and index finger for approximately 10 minutes. Click on either image above to enlarge. One out of every seven people will develop a nosebleed at some time in their lives. Nosebleeds tend to occur more often during winter months and in dry, cold climates. They can occur at any age, but are most common in children aged 2 to 10 years and adults aged 50 to 80 years. For unknown reasons, nosebleeds most commonly occur in the morning hours. 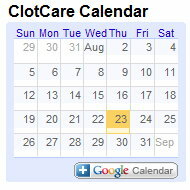 Inability of the blood to clot is most often due to anticoagulant medications. Topical nasal medications, such as corticosteroids and antihistamines, may sometimes lead to nosebleeds. Liver disease, chronic alcohol abuse, kidney disease, platelet disorders, and inherited blood clotting disorders can also interfere with blood clotting and predispose to nosebleeds. 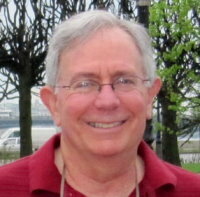 Vascular malformations in the nose and nasal tumors are rare causes of nosebleeds. High blood pressure may contribute to bleeding, but is rarely the sole reason for a nosebleed. It is often the anxiety associated with the nosebleed that leads to the elevation in blood pressure. Bleeding usually occurs from only one nostril. 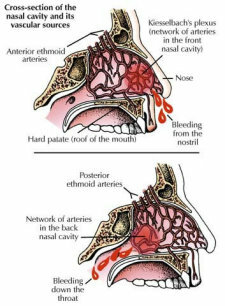 If the bleeding is heavy enough, the blood can fill up the affected nostril and overflow into the nasopharynx (the area inside the nose where the two nostrils converge), causing simultaneous bleeding from the other nostril as well. Blood can also drip into the back of the throat or down into the stomach, causing a person to spit up or even vomit blood. Excessive blood loss from nosebleeds does not often occur.